Can we all just be honest that this motherhood thing is tough? I’m pregnant, and I’m pretty unfiltered, so buckle up because I have many feelings about it. Yesterday I read this post on my friend Kristen’s blog, “For When the Mother In You is Desperate,” and the post was great, but the responses stopped me in my tracks. Mom after mom after mom poured out her heart in the comments about how desperate and overwhelmed she felt, and how alone she felt in that place of desperation, like she was failing on a desert island. Woman after woman shared how much she needed grace. And boy do I relate. Yesterday my oldest child snuck into Valentine’s candy and ate it all in her closet before 7 am, and in a sugar craze then made huge messes in room after room after room in our house throughout the day every time I turned my back. I spoke harshly to her many times yesterday, which made me feel small and horrible. This morning I spent almost an hour cleaning up glass from the Christmas lights that she unstrung and broke in our backyard (because she wanted colored lights, not white ones) during the 20 minutes I sent her outside to give each of us a small break. A good friend one time asked me why, when our children rebel or disobey, us moms tend to feel like it is our failing and not just our children’s. And I didn’t know the answer to his question. But I do know that is how it feels. And even as moms, when we see other children rebel, we do tend to blame the parents, don’t we, if we’re truly honest? We forget the sin nature and the curiosity and the immature self-regulation and the power of impulse and instead we just feel like the worst mom in the world. We are so quick to judge, and so slow to give ourselves, and other moms, grace. What a terrible tactic of our enemy. He lays the blame trap, and so often we fall into it. May God help us to see as He sees and avoid this trap. We need to know that we aren’t failing and that our children are just growing and learning, and that just because this is hard doesn’t mean we are bad at it. We need God to help us see the grace that is ours. And to compound this problem, it’s hard to know where to go with these feelings, because it is lonely being a mom. Which is another tactic of our enemy. Isolate and destroy. Isolate and destroy. It’s been his battle plan since the beginning. And he is good at isolating moms of young children. My friends with children who understand where I live are themselves too overwhelmed to do much more than check in occasionally, and my friends without children have their own busy lives and although they try so hard, the world we live in with young children is hard to comprehend. True friendship is hard to maintain when you are the mom of young children – and it is a season of life where I think we may need friends the most. True friends give perspective when we have lost our ability to see the bigger picture. Thank God most of us have those friends who you can see or hear from once every three weeks and still pick up where you left off, but the hours and days and weeks between significant adult interaction can sometimes spread out before you in an overwhelming chasm. And social media, although it seems it would help with this problem, just isn’t sufficient to fill that void and I think may even exasperate the problem. I think sometimes we post the fun stuff, because we don’t want to appear crazy and put out there all of the bad feelings, so we fake each other out so we don’t reach out and we don’t know what is on the heart of our friends. We are connected virtually but alone relationally. It’s a bastardization of the true community that we need as humans to grow and thrive, so false and yet what we have settled for. Maybe even what we’ve been deceived to settle for. And lately, the whole thing has had me on my knees. Justin and I are talking through what to do about the difficulty of parenting and the isolation in the midst of it, and thankfully he understands and relates and takes my feelings and needs seriously. Because I am more needy than usual. I feel lonely and overwhelmed. I want to battle it all – but when we are tired it is hard to battle. So together we are working through what to do with all of it. First of all, I deactivated Facebook for lent to force me to have real interactions with people I love and not settle for the social media fake-out. And in those relationships – I’m trying hard to be real and transparent. Second, Justin and I are trying to talk to each other more about deep things we feel and about our struggles with faith everyday, making sure we connect over more than TV shows and work updates. Third, we’re trying to have more people over into our house and visit the homes of people we love. In-person interactions are truly the best community. And fourth, I’m trying to call or text friends to see how life really is beyond the mask of social media and momentary interactions at church on Sundays, especially when the Lord lays them on my heart. For all of you friends who feel unsettled and alone, I guess I just want to say “me too” and I’m sorry you feel that way. For my offline friends, I am sorry for my part in any relationship that is all surface and no substance. I am working on being refined in this area and truly praying for a revival in the relationships in our life. Because we need each other, especially in this season of life. Because we aren’t failing. This is just hard. It is a season, and it will end someday, and for now we just need to keep working, keep trying, stay humble and loving to our kids when we can, and take a break when we can’t. We need naps and date nights and occasional ugly cries and texting each other the terrible things we think when we are just too tired to fake it anymore. We need the grace and perspective that true community brings. We need new mercy each day. We need more grace than we even know how to ask for. So what do you think? What has the Lord shown you as a trick to maintain relationships when times get tough and schedules are insane? How do you keep a wise perspective on parenting and avoid the “blame” trap the enemy sets for us? Any wisdom for us overwhelmed moms? The Olympics demonstrated for me what I love about social media. I loved watching gymnastics with my computer in my lap, laughing at tweets from people I love about an athlete’s strange wardrobe decisions and cheering on the team that in overtime just needs to score a stinking goal. I loved watching what is trending worldwide to see what was happening live in London, imagining being in that beautiful city to witness history firsthand. When I realized that I couldn’t access online content because we no longer have cable and NBC was requiring subscriber information for access, I went to Twitter to voice my frustration and joined joyfully in the #NBCfail snark. When Matt and Meredith insulted the entire world with completely inane and potentially racist commentary during the Opening Ceremony, I was interacting with old friends on Facebook who joined me in laughing disbelief and horror. During the games, I followed athletes and loved seeing their photographs and reading their joy firsthand. It made the Olympics fun and interactive. I felt like a part of it, and it removed the roadblock that NBC had placed between me and the Olympics that limited my viewing choices to what they handpicked to air between commercials to generate the most revenue. It made the Olympics feel like an event that I was watching on a giant sofa with people I love, like the Lost Finale we watched with our closest island-adoring friends. We were joined together, rooting for these athletes who have spent years training for this one moment. We were hopeful and joyful and cheering them on. It was unity in action, the entire world celebrating life and health and hard work. It is what I love the most about social media. Simple joy and the crossing of divides. And it is the exact opposite of what we are entering into next. The same reason I loved social media during the Olympics is why I dread it in the politically-charged fall. Because it is the opposite of unity – it is division and tearing each other down and flinging soundbites at each other from across the divide. Politics makes social media miserable, and I truly dread it. 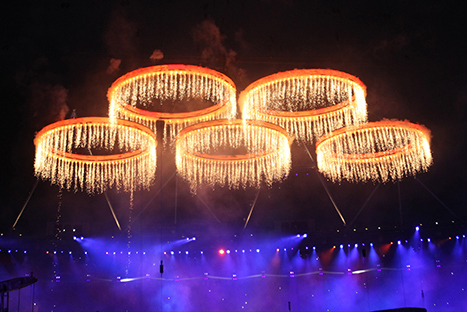 I want to cling to the Olympic unity this Fall. Unless we are uniting in our mutual disgust with Matt Lauer, I want to avoid the mudslinging. I want to share light and love on social media regardless of who wins and loses in November. Because, here’s the deal, whatever happens, we are not the enemy we are supposed to fight (see Ephesians 6:12), and really, who ever changed their mind because of a tense and charged Facebook decision? It’s pointless and divisive and we all have better things to do with our time. So it is time for a fun blog post I think. I have been a Twitter user since June 2008… so as someone who has perused this fun social networking site for over a year – I have decided to come up with some ground rules for Twitter. A listing of things that should NEVER EVER be tweeted. Most of these – unfortunately – come from experience. A few of these rules I have even broken myself. But if we will all follow these lovely little rules, the Twitterverse will be much more pleasant to explore. #1 – The “They just tweeted WHAT?” Rule – Please realize, when Twittering, that there are many many people reading who are visual people. And who see, in their heads, each thing you Tweet. So if you talk about making out with your guy/gal – we see that. Blood and/or pus oozing from a wound – oh dear do we ever see that. Infected nails or itchy rashes of any kind – yea we begin to itch and get nauseous. Your kid vomiting into your open mouth – yea we just threw up a litle. There IS such a thing as TMI – and although it is only you typing these things alone into your computer – we are all reading them and some of us are seeing them all too clearly. #2 – The “We all love us some TiVo” Rule – So, if you happen to be a live TV watcher – you can really mess our day if you pop on and Twitter information about the guy in the hatch or so-and-so who won the such-and-such reality show or other surprise information. There are subtle ways of expressing just enough information so that those of us in the “know” don’t ruin it for those of us just trying to run by Taco Bell and eat before we sit down and get our TV fix. So – be a sensitive tweeter to your friends the TiVo users. #3 – The “It may be cheaper than $100 an hour” Rule – Although Twitter is awesome, it is no substitute for a good therapist. If you are depressed/upset/lonely/frustrated – there has to be a better “friend” for you to turn to than the 140 character limit, right? Twitter is kind of a fun social networking tool. Some of these tweets are kind of a buzzkill. If you have a legitimate need like an urgent situation that needs prayer – that’s cool. It is a quick way to get it out there to a ton of people and get what you need. But some of these tweets are seriously stuff that maybe needs to be discussed with a professional. And along these lines – don’t be a passive aggressive tweeter. If you are upset with your boss, your mom, your cousin, your best friend, or your boyfriend – talk to them. Don’t tweet your frustration to the rest of us. Again – the term is “social networking” – it’s kind of supposed to be fun. #4 – The “Those are fighting words” Rule – If you tweet something offensive – prepare to offend. If you tweet something political, something inflammatory, something ignorant – be prepared for the backlash. It is amazing to me the people who tweet their point of view in a less than sensitive way who get so upset when people whack at it. Again – although you are alone with your little computer – you aren’t the only person in the Twitterverse. #5 – The “TweetHo a No Go” Rule – For the love people – don’t tweet thinly disguised sexual innuendo. It is bad form, bad taste, and you will quickly get a not-so-hot reputation. Just don’t do it – if you wouldn’t say it in front of your mama – don’t tweet it. You girls especially – you are worth MUCH more than that. If you doubt it – contact me – I’d LOVE to talk to you about how incredibly valuable you are. #6 – The First Date Rule – In Twitter, as in life, you should always put your best face forward. I know you stink, sweat, poop, have warts, gas, zits and issues. Everybody does. HOWEVER – nobody in the Twitterworld wants to hear about it. Let’s treat Twitter like a first date – first dates are a hit when they are BIG on fun with as LITTLE drama as possible. We dress up – we smell nice – we are totally well behaved. THEN – people want to have a second date with us. Twitter is like a great first date. So let’s keep the yucky intimate details off Twitter. #7 – The “And Then” Rule – There is such a thing as too much of a good thing. I am a pretty avid Twitter user – and so I’m sure there are people who just don’t want to hear my updates anymore. I’m probably as guilty of this one as anyone else, so I understand the desire to tweet – often. I live at home all day with two little munchkins and sometimes Twitter is my lifeline to adult conversation. But there are some times when you need to put your phone/computer down and LIVE LIFE. If you are on a date – don’t tweet everything you do. That pretty much shows us, and your date, that you are much more concerned with the Twitterverse than you are with your date. And that kind of stinks for you, for your date, and for us. Same with honeymoons – what are you thinking? I KNOW there are better things for you to be doing with your time than giving us updates. So go LIVE LIFE and give us all a chance to miss you when you’re gone. #8 – The “I Rock” Rule – Try, oh try, to keep the bragging to a minimum. If you are spectacular in some way – that is awesome. If you are the holiest of holy people, the smartest guy on the planet, the best parent in the universe, the most conservative/liberal thinker you know – that is just great for you. And the first or second or third time you tweet about it – we rejoice with you. But we are only human and after the 15th or 16th post – we are bound to roll our eyes a bit. So just keep it within reason. We do, after all, get jealous of your awesomeness. I guess that’s all the rules I can come up with for now. I think Twitter is like chocolate – it is a great thing when used properly and in moderation. Are there any that I’ve missed my fellow Tweeters?